Philippines - A Must See in 2013! 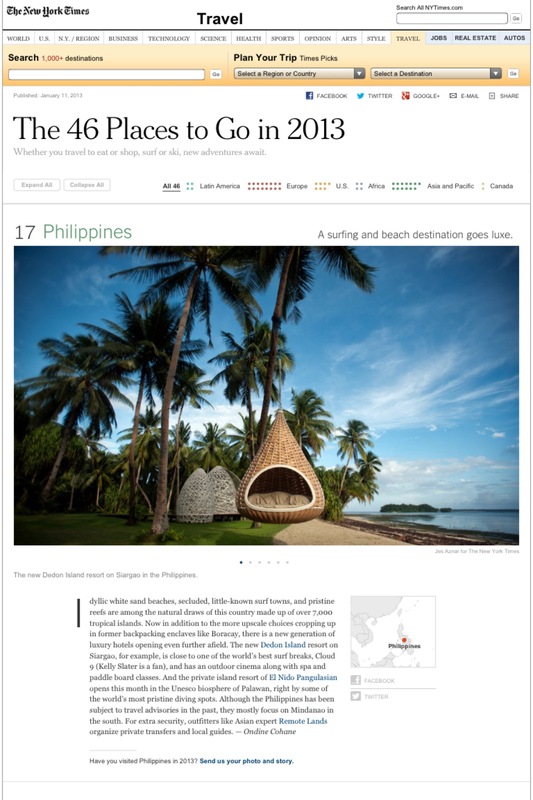 We all know that The NY Times recently announced The 46 Places to Go in 2013 and our country has been included! We take so much pride in our pristine and turquoise waters and fine sand beaches. It’s high time we showcase and boast about the beauty of the Philippines! No doubt, it is more fun to travel in the Philippines. You are Here >> Home » Places » Philippines – A Must See in 2013!